In this Sekiro Shadows Die Twice Review I’ll explore FromSoftware’s new Action game and answer some burning questions you have such as: Is Sekiro like Souls? Is Sekiro worth buying? and Is Sekiro a good game?. Please be mindful that this review contains mild gameplay spoilers of mechanics and an early game area. Important: To understand our score, read the Fextralife Review Guidelines. Sekiro falls between “Great” and “Brilliant”. Every reviewer has their own “compass” for what numbers mean, so for reference I gave Dark Souls Remastered an 8.8, Nier: Automata an 8.7, and Bloodborne a 9 and I love them all. Platforms: PS4 (review platform PS4 Pro), Xbox One, PC. Review code provided by Activision. Sekiro takes us to a fantastic version of Sengoku Japan. Sengoku is a famous period of Japanese history, during which war ravaged the entire country for over 150 years. The strife and unrest was fueled by political cues, led to the extermination of prominent Japanese families, and completely reshaped the power structure of Japan. Given the enormous scale of the battles, Sengoku is a popular time for both historians and fiction writers, which usually focuses on the Battle of Sekigahara and the surrounding main actors. Sekiro does not follow this path, instead creating a fictional version of Japan and the Sengoku period, and adding mythical elements such as an ancient Dragon Bloodline to fuel the plot. This is likely a good choice, as the gaming world is saturated with Nobunaga and Tokugawa references by now. Unlike previous works, Sekiro delivers the story in a more straight-forward manner. With a set and even voiced protagonist, the world moves in a much more coherent story than Souls games might have done for others. Everything is explained quite clearly and dialogue options can be revisited as many times as possible. This does not mean that Lore hunters won’t have anything to do, as there is plenty of folklore and FromSoftware’s own interpretation of Yokai to find and talk about. It is just a lot easier to access for the average player that might skip reading item descriptions. So how is the story, then? The protagonist is a well realized character, and it is clear from the get-go that you will find story twists that challenge the initial world view. This does not detract from the plot and the decisions the player must make, and you will find yourself intrigued by the many characters you meet and want to see their tale through. I very much enjoyed talking to NPCs as I explored the landscape, and the concept of revisiting memories and advancing the story through trips to the past was well executed. All in all, FromSoftware has successfully made their storytelling more accessible, and whilst I miss some of the quirkiness of the old ways, many will appreciate this new approach. Action games live and die by gameplay, and Sekiro has delivered a fine-tuned and glorious realization of a Shinobi fantasy. That said, and before I go any further, I must disclaim that we just came out of playing DMC5, and that has the best gameplay possible for an action title, so Sekiro is against some really tough competition in this regard. Gameplay focuses on the optimization of the skills of your main katana, the Kusabimaru. You will also gain access to special Prosthetic Tools that allow you to grapple onto ledges and enemies, as well as throw Shurikens, Firecrackers, a flame thrower of sorts, and much more. This sounds really enticing but players soon discover that, like many action games, you aren’t going to get your toys for a while. This is an understood concept, however I personally felt that the initial progression (say the first 5 hours of the game) dragged on in specifically keeping my toys away from me. With Souls, I learned to not care about souls. If I died and lost all my souls, I would go co-op a boss I knew and make them back, or simply focus on upgrading my weapons instead. Sekiro’s death penalty is extremely punishing when you start the game, taking away 50% of your experience and gold each time you respawn. This is mitigated by something called Unseen Aid, which negates the loss but has a measly 30% chance of triggering and then goes down from there. You can keep Skillpoints you have earned (meaning you filled a bar and it turned into a 1), but anything after that is going to slowly disappear as you attempt a hard section. Further, since you have no easy access to merchants, your gold will most likely be gone too if you don’t have the mechanics down. But wait, there’s more! If you die a lot, you will also spread Dragonrot, which sickens NPCs and actively blocks their questlines. A completionist like me is thus extremely alarmed right from the get go: I don’t want to miss out! So the game’s start saw me being overly-cautious and wasting time with stealth because I didn’t want to risk my lack of familiarity with the controls deleting half a bar of experience gained and ruin NPC quests. But why do you care about XP? 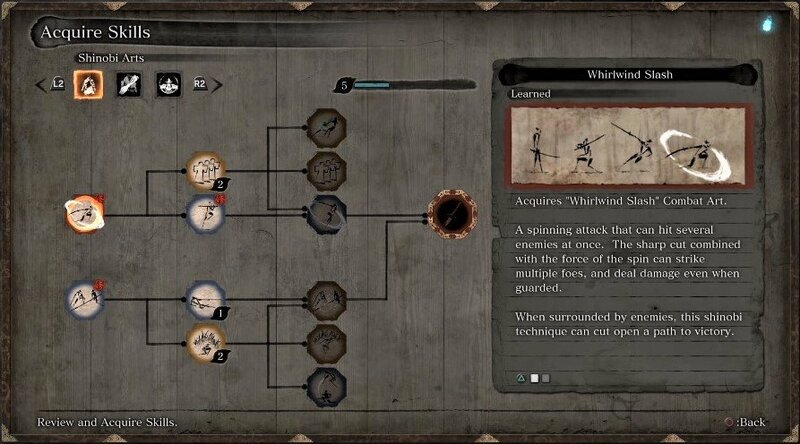 The game’s main attraction comes in the form of Skills and Skill Trees, that players can unlock to improve Sekiro’s arsenal of moves. Some of these skills are passive and make a large difference in the core mechanics, whilst others are active and perform extraordinary feats. But they all cost Skillpoints, and if you’re dying a lot you’re unlikely to fill up that bar. So you’re stuck in this strange place where you really don’t want to die because there’s no chance to regain your losses, which means you might want to go farm to fill the XP bar and spend all your gold before running into any boss room. The essence of any souls game is to overcome a challenge, and people will say “Just Git Gud“. Elitism aside, this is valid commentary, and it is extremely important for veteran souls players to truly discard their previous muscle memory when approaching this game. Players who struggle with quick reactions will also want to fully explore the Stealth mechanic and focus on gathering those skillpoints to unlock important perks. But most of all, you’ll want to be specific about progressing the game in an optimal order, as the Prosthetic Tools you find can be key to success in certain fights. So, is the gameplay good? Sekiro’s gameplay is the most refined FromSoftware work to date, taking it a step further than Bloodborne went. The split-second execution of amazing maneuvers and counters is flashy and satisfying, and the many skills and prosthetic tool upgrades available complement the light RPG “Stats” upgrades the player can pursue. All in all, players might be disheartened during the first few hours by the extremely punishing adjustment period, but there’s a specific wall that “lifts” if you progress in the right order, and after that you will get in the “gud” zone of “git gud” and flow through the game with great enjoyment. Gameplay includes fan-favorite Builds, as you have limited points without farming and could create great combinations. Fromsoftware began conceptualization of Sekiro in 2015, and this unfortunately shows. The game’s graphics are good, but they are nothing amazing and the PS4 pro visuals are not necessarily outstanding. The rendering of backgrounds and locations is quite scenic, however, and the level design and enemy concepts are fantastic and very enjoyable. That said, when you go into the “Action” line you start to compete with games like God of War, Assassin’s Creed Odyssey and Devil May Cry, and FromSoftware is not at the top of that game (yet). We are quite looking forward to their next engine and the visual upgrades that will come with it, but for now Sekiro sits at a very comfortable “Good graphics” veredict. They are scenic and set the mood, they won’t blow your mind away. *Note for PC players: You will likely see better graphics than console users, this is a score for PS4 users. Performance is of course an important factor, and we found that the game’s performance is stable, and have experienced no crashes or glitches. The framerate is not locked so it will fluctuate wildly, but we have not encountered any Blighttown-esque slideshows so you can go forth and slay with precision. Level Design is a strongsuit of FromSoftware and they successfully delivered an intriguing and interconnected world with plenty of hidden areas to explore. The sheer size of some areas, like Ashina Outskirts, is rather daunting for any completionist. The world building truly delivers in this area, and brings up the overall score. The music score for Sekiro was rather underwhelming to me, but it might be more impactful to those unfamiliar with Japanese tunes. There’s a definitive tempo to the combat sequences and each area has their own idle and action scores that ramp up the intensity of your play. In this regard, FromSoftware is competing with itself and has a difficult task in attempting to match or surpass the fantastic work of their previous titles. Since none of the songs stuck in my head after playing for hours and hours, I would say they have fallen just short of the task, but still delivered a great score. Finding all the hidden corners of the world is really fun, and exploration is very much a thing. This is the biggest question on the internet, and one that is extremely difficult to answer: What’s Sekiro’s Replayability? The honest answer is: we don’t know because it all depends. The game is extremely challenging to start, which will add a lot of hours to your playthrough if you aren’t a skilled player, but even beyond that there are many nook and crannies to explore if you want to obtain all the upgrade materials, special tools and rare quick items. This means that a skilled player with little interest in exploration is likely looking at 20 hours of gameplay for one playthrough, whilst a less skilled player or completionist will instead get at least 40. But what next? Why keep playing? 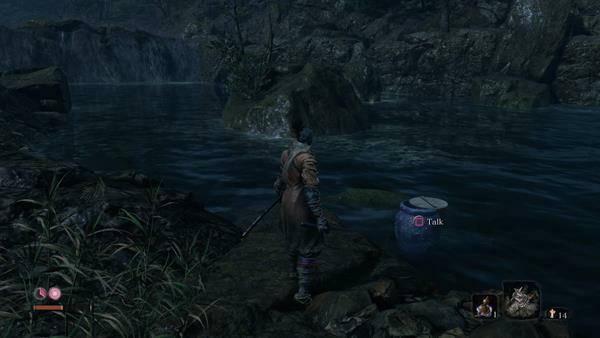 Sekiro has intriguing NPC questlines as well as several endings: that alone would likely encourage most to go onto NG+. 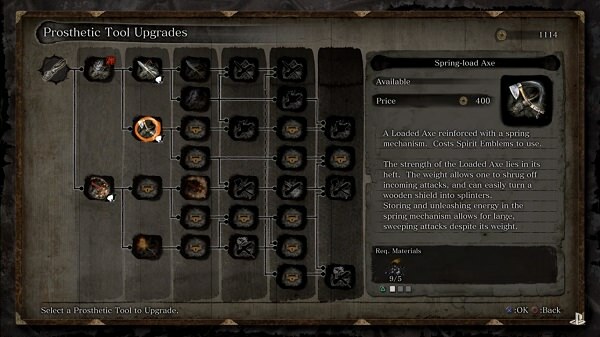 But there’s more, in NG+ you will get to face enemies with a fuller arsenal of skills, and since there are so many trees and you can only (without farming) fill up about 2 of them in one go, you will probably want to revisit and become even more flashy. The motivation to go to NG+, to me, was always about getting more things, or facing a boss again. With Sekiro, you can do both of these things and I feel FromSoftware has done a good job in this department, so that you are happy to continue your adventure because you want to make your Wolf even more amazing. As with all our reviews, Pricepoint covers the contextualization of a game, to see if you should buy it now or wait for a bargain, or skip it altogether! In Sekiro’s case, clocking in 20-40 hours minimum, it is rather comparable to other action games in the market such as Last of Us or God of War. 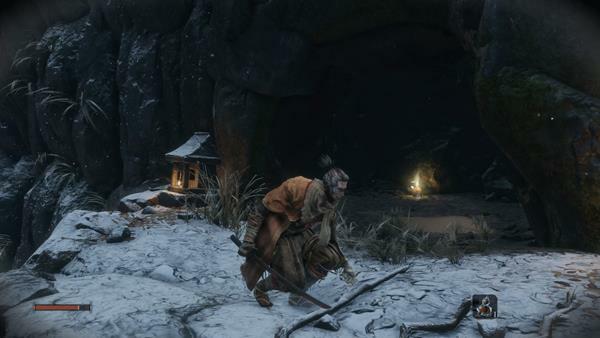 What Sekiro lacks in graphics, it makes up in replayability as you continue into New Game Plus to unlock more skills and try different endings, which would net a good 20 hours added to both skilled and unskilled players. Relative to the market, there are not many releases this Spring, besides DMC5 which you really should have bought already, so Sekiro is a good investment for your gaming dollar as it will certainly entertain you for a considerable amount of time. The game has no microtransactions or announced DLC, meaning that at the time of writing you’re getting a full experience for your money, so this is a big plus to the score. The lack of multiplayer is certainly to the detriment of both Pricepoint and Replayability, but I feel that Fromsoftware’s unique touch and approach shines through the game and makes it a day one buy for any Souls fan ready to let go of RPG and get fully into Action. Sekiro: Shadows Die Twice has been a roller coaster for Souls fans, who were initially thrilled, then disappointed at no multiplayer or customization, then reassured by a skill tree and upgrades, then concerned at possible ease from resurrection, to now horrified of actually dying. This emotional rollercoaster matches the game’s story and setting well, and should fuel your thirst for deathblows, as you annihilate everyone that stands in your path. The Wolf is a surprisingly well-realized character, following a convincing story path, with challenging gameplay that rewards the bold. 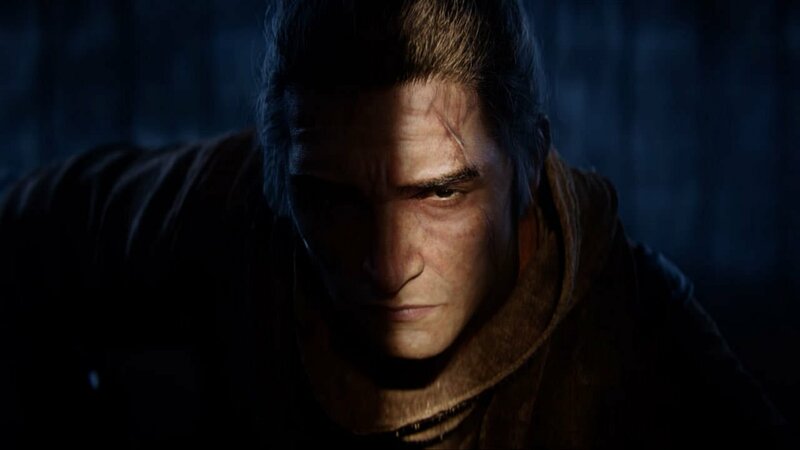 Sekiro is not souls, and might not surpass souls, but it is an excellent side-step and a worthy journey for FromSoftware followers as they wait for their favorite developer to deliver more RPG content, hopefully incorporating some of the outstanding action of Shadows Die Twice. Summary: Sekiro is a great realization of a fantastical Shinobi journey, with challenging but rewarding action-packed gameplay and intricate level design that encourages exploration. Sekiro stands on its own next to acclaimed Souls titles and puts FromSoftware on the action stage with a flourish. At first you hit a wall, then you become the wall the game hits against, and it feels wonderful.